I resonated with this. It sparked a thought i’ve always wanted to shed some light on. It looked as though many photographers in the last couple years forgot what it meant to document weddings genuinely. It felt like they were crafting up this “visually perfect couple” whenever they talked about what kind of client was “their client”. The barefooted, adventurous couple. They wore hats, jackets with their wedding dresses and had the trendiest archway. They hopped fences and left their guests at sunset to get that instagram worthy shot and they were likely chilled and laid back. Sound familiar? I’m talking TO EVERYONE who puts a visual label on what kind of person is their people are. Yes, i’ve done it before while trying to keep up with the trends but you guys, i’m the furthest thing from trendy. Putting couples in a box isn’t what this industry is about and to be honest, it’s not doing you any favours either. I’ve experienced this feeling myself. I was getting some photographs done and I was more worried about wether or not I fit into the style of my photographer VS what it really meant to me. LIKE FOR REAL DID I REALLY FEEL THIS WAY? That isn’t how you’re suppose to feel. Ever. It’s about documenting memories for these people to have for the REST OF THEIR LIVES HOWEVER THEY SHOW UP FOR YOU. I understand what it feels like to not jive with a client and thats a totally different story, but their wedding day details aren’t any of your business when it comes to “ideal clients”. Not what kind of hair style, not what kind of dress, not what kind of shoes. None of it. Our job as photographers are to capture the moments, all of them. The messy ones, happy ones, unexpected ones. It’s our job to give you all the feels when you look back at these images 10-20 years from now. It’s our job to create a trustworthy relationship, a safe place for you and your partner to be exactly who you are. Our job is one of the best jobs in the world. One of my favourite things about being one of the preferred vendors at the Rockwater Secret Cove Resort is that 99% of the time, I don’t actually get to know my couple until I arrive to photograph them. The resort books me for their clients and the rest is history. It use to really bother me not meeting clients before their wedding day but I’ve learnt over the years how to adapt quickly to whoever it is i’m meeting. It allows for a fun, exciting experience all around. I read their body language and ask some questions, I let that guide us. Allie and Pete were one of those clients and their photographs look like i’d known them for years. 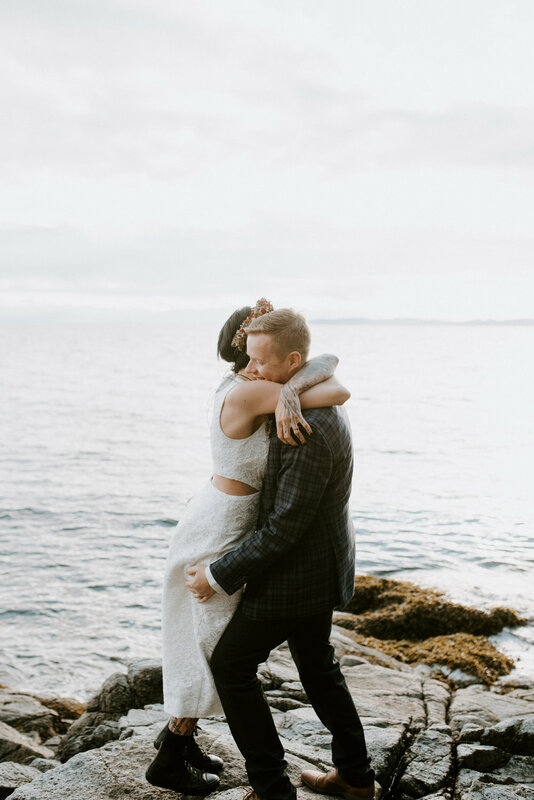 Allie had done her research on me before their elopement at the resort, so when I walked in she was SO STOKED to meet me and that is SUCH a great feeling. She had trusted me by just getting to know me through social media, that is also such a great feeling, it meant to me that I was doing “something right”. She was herself in every way imaginable. Trusting your photographer is such an important part of a wedding day, if you’re not comfortable it’ll likely show in the images. 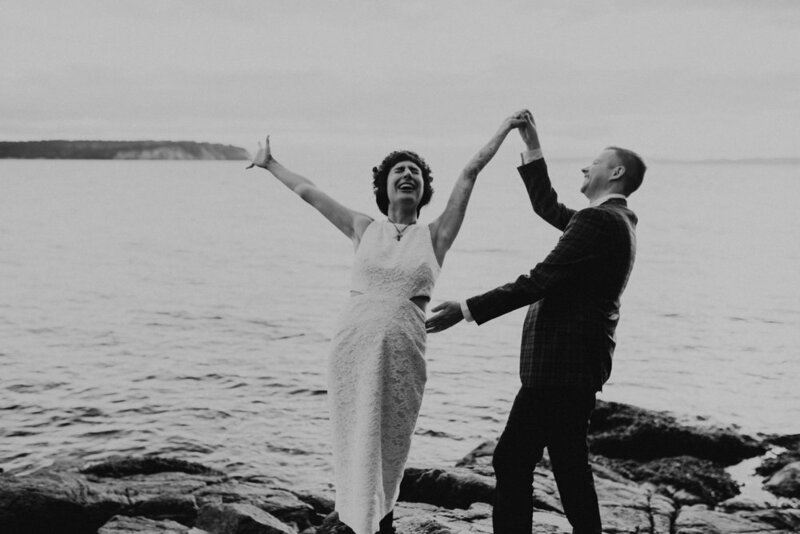 When i’m doing the booking process myself and it’s not through the resort, it is paramount that we are on the same page because these days are typically much longer than a 1 hour elopement with 2 people. So heres encouraging you to dive a little deeper when it comes to the photographer you’re about to hire for your wedding day. Are you in line with them? Do you connect with them? Can you trust them? What are their values? Will they show you full wedding day galleries? These are the things I’ll be asking my photographer when it’s my turn to book one.